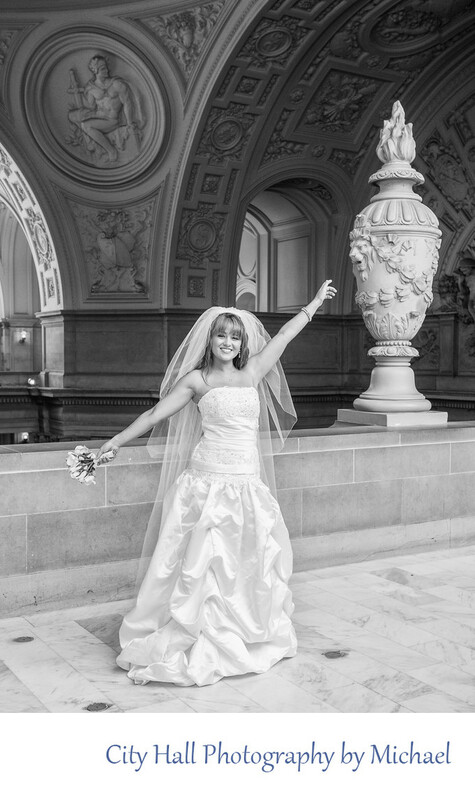 Obviously the goal of any good city hall wedding photography shoot is to get great images of the bride and groom. But lets face it, any wedding is more centered on the bride so we always spend some time focusing just on her. We will often pose the bride by one of the 3rd floor windows or close to some of the beautiful architecture that is available throughout the building. In this particular photo, we had a very fun bride and she basically just started posing herself. Pretty much a dream come true for any wedding photographer at San Francisco city hall.